Summer program offerings include junior camps, private instruction and small select training groups available at numerous locations. My service area includes Northeast San Antonio. New Braunfels, San Marcos, and Seguin. Pay for lessons and events right here on this site with Pay Pal or a Major Credit Card! Scroll down for more information and see the online payment portal for class and lesson rates. 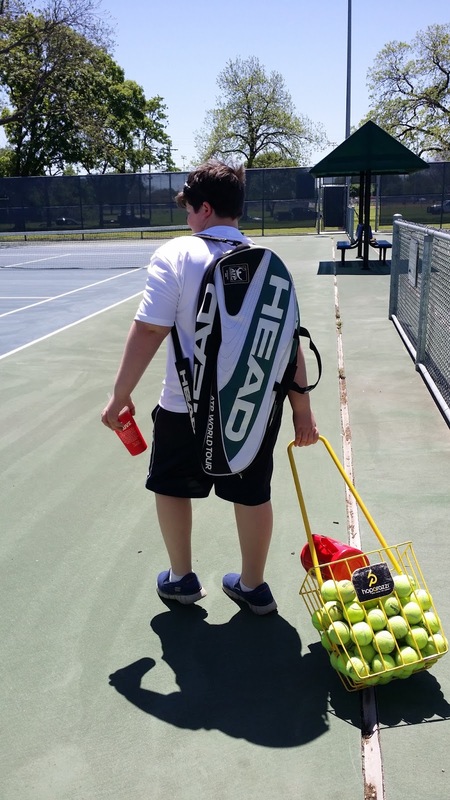 Pay for lessons and summer programs with Paypal or a major credit card. Note: this payment portal is for Coach Sam's Hill Country programs. 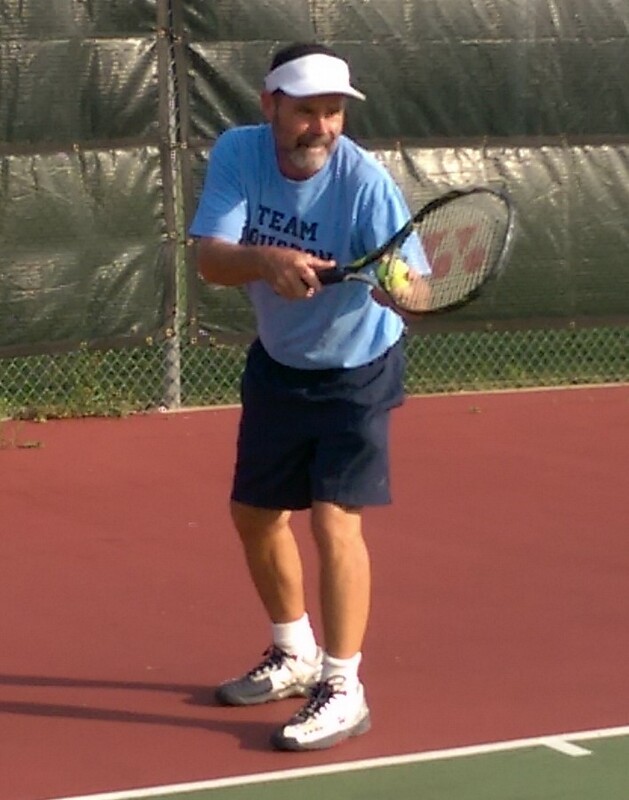 Online payments for Blossom Tennis Center are not available here. Cost $20/individual, $30/family, We will organize match play and fun games for participants, Orange Ball, Green Ball,and Yellow Ball participants are welcome. Pizza will be served for dinner and participants are also asked to bring a beverage, side dish, or dessert for the dinner table. Please register with a text to Coach Sam Chadwell by Thursday, July 26. 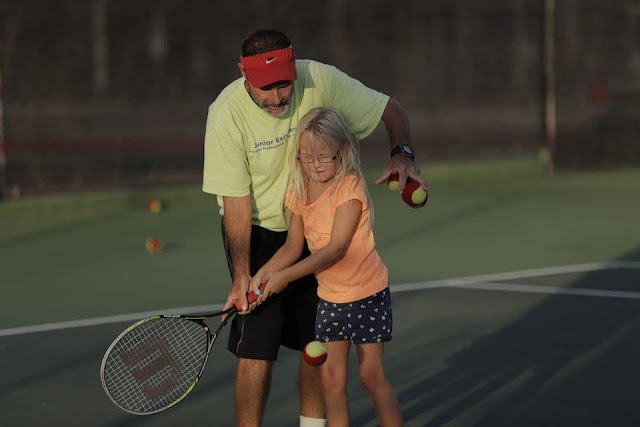 Adult and Junior Family Tennis Night at Blossom Tennis Center, 6:30 to 8:30 PM Cost: $20/individual, $30/family age 7 and up. Matches will be organized for match play ready adults and juniors, Fun drills and large group games will be organized for non match play ready players. Coach Sam will be grilling hotdogs for dinner. Participants are also asked to bring a beverage, side dish, salad, chips, or dessert for the dinner table. Please register with a text or email to Coach Sam by noon Thursday, Aug 2. Private Lessons by appointment today. Lets Play Tennis! 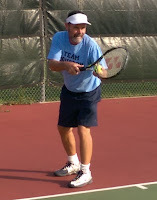 Cost for season: $38 payable to USTA via Tennis Link online registration.